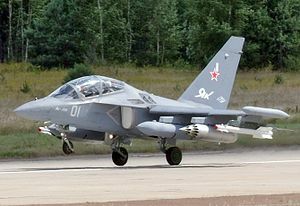 In more of a political statement by Russia than anything else, Russia’s state arms exporter has sold $550 million worth of 36 Yakovlev Yak-130 “Mitten” combat trainers to Syria. Although they are more fierce than you might initially think, “Mittens” are still no match for the Türk Hava Kuvvetleri, the IAF, or the USAF. We are left to assume that Russia is simply reaffirming its support for the al-Assad regime.